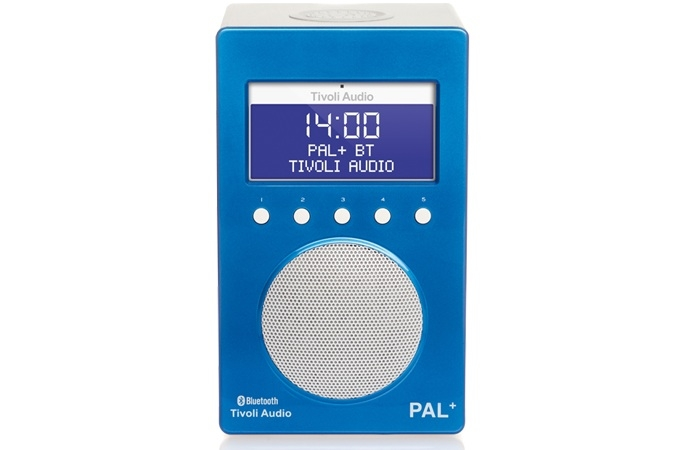 Take Tivoli Audio’s wildly popular PAL radio, and future proof it with a sensitive DAB/DAB+/FM RDS digital tuner and add Bluetooth wireless technology, and what do you have? Simply stated, one of the best compact portable audio devices available. The PAL+ Bluetooth is small enough to tote about, yet plays loud and provides a surprisingly big sound from its 2.5” (6,35 cm) coated driver. The addition of Bluetooth wireless technology allows effortless streaming of your favourite tunes from your enabled mobile device, tablet, or computer. But fear not, an auxiliary input is also provided for more “old fashioned” wired devices, along with a stereo headphone output. The rechargeable NiMH battery will last for many hours on end, and the integrated charger conveniently charges the battery whenever the included external adapter is connected. And because it’s weather resistant there is no reason to not take the PAL+ Bluetooth along. A multi-function control wheel on top gives instant access to power, volume, source, and tuning, while the front sports 5 favourite station presets for each band. Use the full-function remote control to customize and adjust equalization, backlight, and alarm functions. The time will even auto set via DAB or FM RDS. 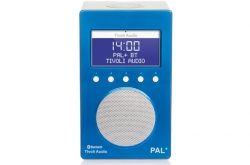 Listen to to the PAL+BT’s outstanding DAB+/DAB/FM tuner and stream audio including, iTunes, Spotify, TuneIn, and Podcasts from any Bluetooth-enabled device. Bluetooth enables you to stream your favorite music straight from the Internet. The free Tivoli Radio App makes it even easier, by providing you direct access to the top 100 internet radio stations.